Welcome to 2019, the 30th year of racing in Seward Park! This long-standing institution is now proudly sponsored by Voler Premium Cycling Apparel. Voler have generously added to the series purse and provided nightly primes, as well as Leaders Jerseys for the 6pm and 7pm races. This year races will be held every Thursday evening from April 4 through August 29 (no race on July 4). 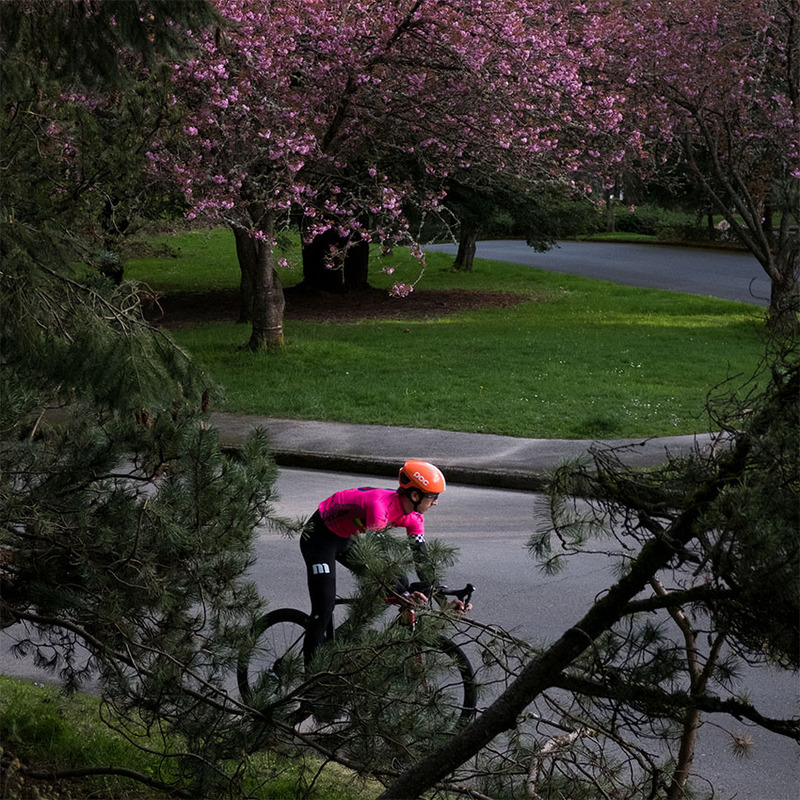 The Voler Seward Park Thursday Night Cycling Series provides racers of all abilities the opportunity to test their legs, brains, and luck against the competition. Three separate races are offered to give riders at different ability levels a more appropriate challenge. Big thanks to Russell Stevenson and series sponsor VOLER Premium Cycling Apparel for putting these jerseys together. C & B Race Leaders: you can run but you can't hide! Direction of races change nightly and per weather conditions. Register: race day only. Opens at 4:30 PM at the picnic area next to course. WSBA numbers will be used and can be purchased at WSBAracing.com. WSBA numbers are not for sale at the race). Rental numbers available at the race for a $5 rental fee. Season prizes go 6 deep. Places paid out nightly based on number of riders (1 place per 20 riders). Points kept for season prizes - 6 deep in each race. Category 3-4s have a choice of races. Women and juniors can race in any race they feel is equal to their ability level. Length of the races may vary over the season with a minimum of 10 racers per race. All cycling rules will be enforced. All riders must sign a waiver and wear an approved helmet. Season prizes go 6 deep. Nightly $2 per entry goes into cash prize pool. Places paid out nightly based on number of riders (1 place per 20 riders). Cash and merchandise primes. Points kept for season prizes (6 deep per race). These races are NOT USA Cycling sanctioned. No USAC licensed required. If you DO NOT have medical insurance you should not race.